*Madonna’s daughter Mercy James not only got to attend Beyonce’s show in Brooklyn Thursday night, but also got some special attention from the singer in the form of a kiss on the forehead – much to her mama’s delight. Madonna and her 9-year-old adopted daughter from Malawi were among the thousands of fans who enjoyed the latest stop on the singer’s “Mrs. Carter Show” world tour at the Barclays Center. 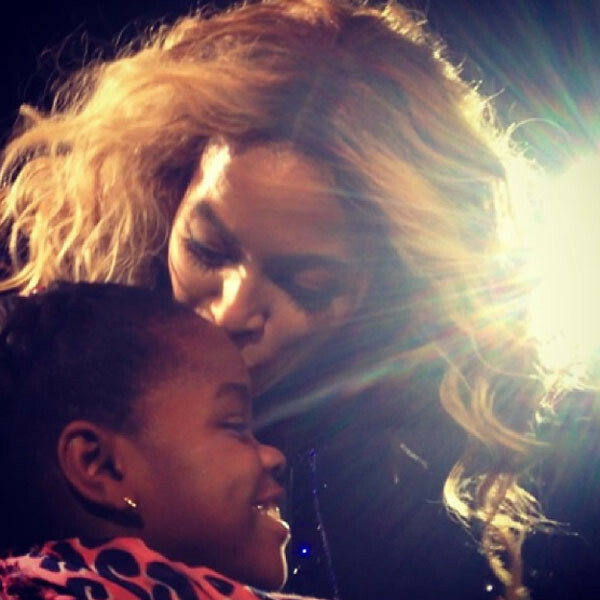 Beyonce took a moment to acknowledge Mercy with a kiss, which Madonna shared with her viewers on Instagram.